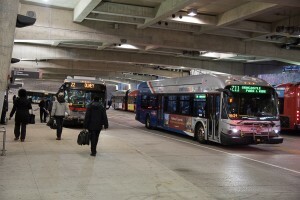 Z Line buses at the Silver Spring Transit Center in November 2015. Photo by WMATA. 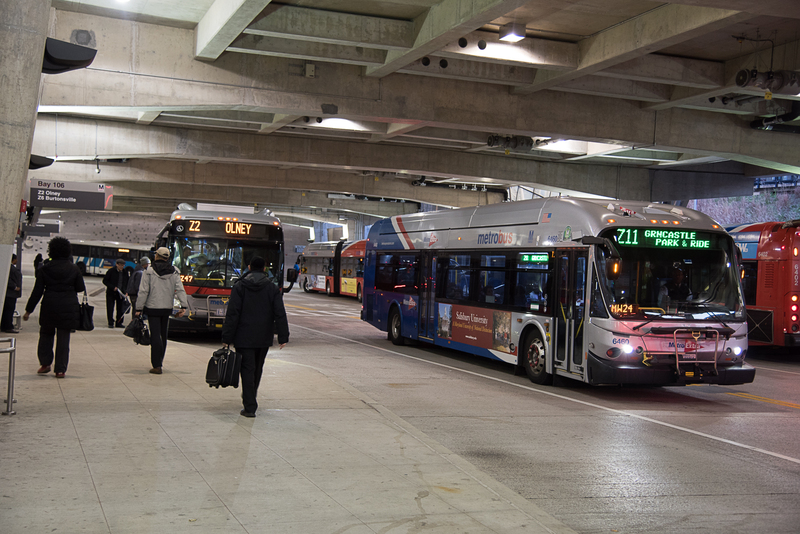 Bus riders on the Z routes on Colesville Road/Columbia Pike (MD US29) will see better service, simpler route names, and more, starting March 27. 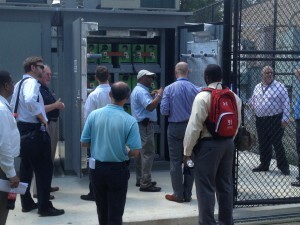 Metro is overhauling the bus schedules on the Z-lines in the Silver Spring-Laurel area. 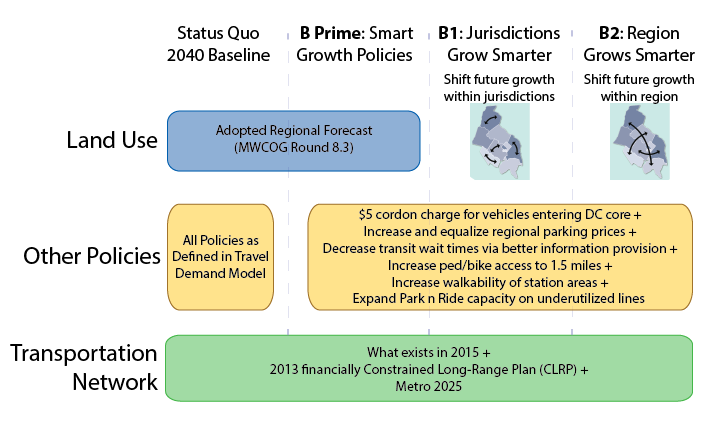 The changes are derived from the recommendations from the Metrobus Z-Line Study, an in-depth planning process. The study, completed in January 2015, was a joint effort between Metro, the Maryland Department of Transportation, Montgomery County, and Prince George’s County Department of Public Works and Transportation to improve service. These seven routes combined have some of the highest ridership in the Metrobus system, making the corridor ripe for evaluation and improvement. The following changes for the Colesville Road / Columbia Pike (MD US29) (PDF) corridor are effective March 27. The new Z Lines will consist of the Z2, Z6, Z7, Z8, and Z11, with new timetables. Z9, Z13, and Z29 route designations will be eliminated. New Saturday service will be added to Route Z6, providing customers with links to commercial developments in Westfarm area and the Plum Orchard Shopping Center. The new service will operate every 30 minutes. The Z8 on Saturday will be reduced to operate every 30 minutes, providing a coordinated 15 minute service along portions shared with the Z6. Additionally, trip times for weekday Z2, Z6 and Z8 service will change to improve on time performance and better coordinate buses along Colesville Road and Lockwood Drive. Routes Z9 and Z29 will be discontinued and replaced by new route Z7. Route Z7 will provide service from Silver Spring Metrorail Station to South Laurel Park and Ride serving: Old Columbia Pike, Burtonsville Crossing Park and Ride, Sweitzer Lane, Van Dusen Road, and Cherry Lane. The new Z7 will increase the frequency of service to residents of South Laurel by operating every thirty minutes. Route Z11 will be extended from Greencastle Park and Ride to Burtonsville Crossing Park and Ride via Columbia Pike (US-29). Current Z29 customers boarding buses at the stops in the area of Blackburn Road will now be served by the Z11. Route designation Z13 will be discontinued. Passengers currently using the Z13 in the morning to get to Greencastle may opt to take routes Z6 and Z8 instead. With the new services, passengers out of Burtonsville Crossing Park and Ride will now see increased service to Silver Spring. 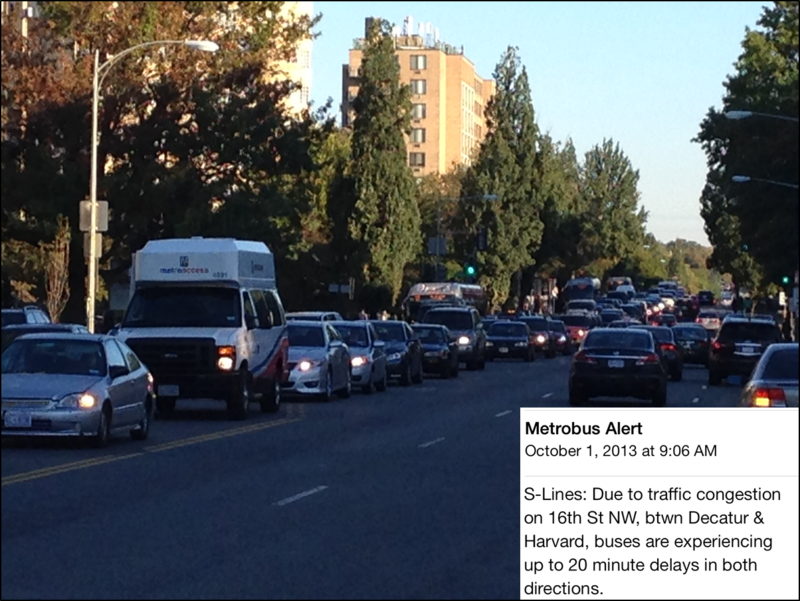 All current boarding and alighting restrictions along Colesville Road and Columbia Pike will remain in place. 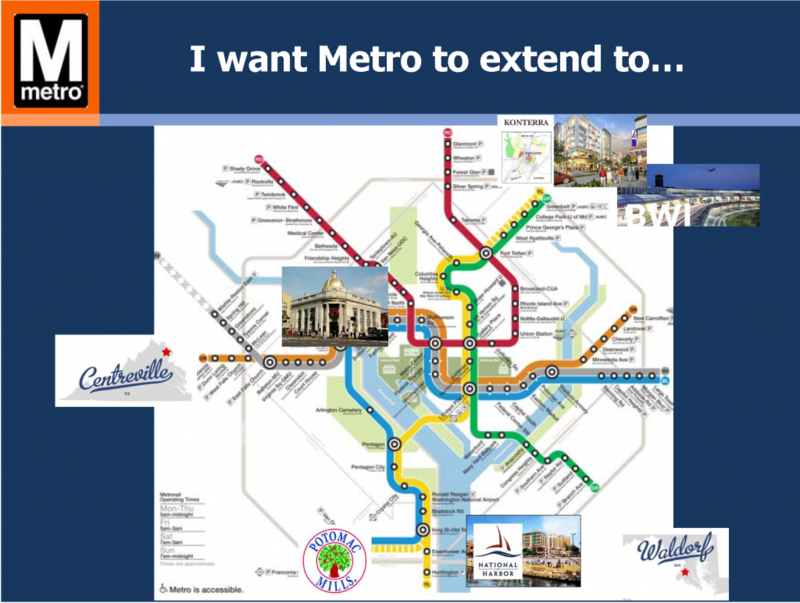 These changes will allow Metro to better align resources to provide effective service in the corridor. Check out the upcoming timetables to plan your trip. At the 2016 TRB Annual Meeting last month, Metro, together with DDOT and AECOM, presented the H and I Streets Bus Lanes as a case study of a bus lane in a downtown environment. TCRP Report 118 concluded that arterial bus lanes, ranging from low-cost restriping of existing lanes to new bus lanes, could offer 12-57% reliability improvements. 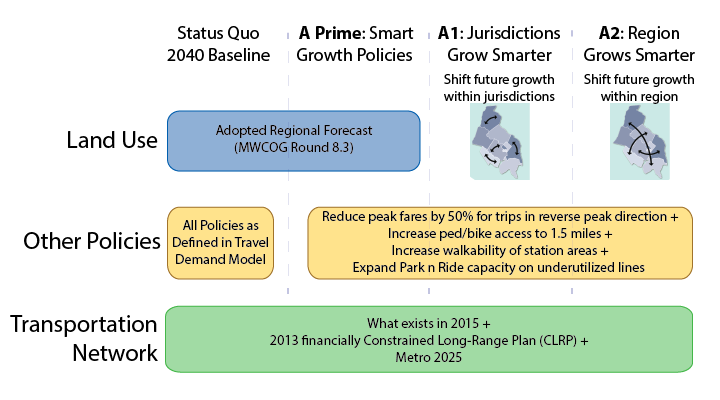 Summary of Alternatives, click for a larger version. The TRB session participants were interested in the status of the study recommendations, and raised a big question on how to solve bus delays in a large downtown area including river crossings. The good news is that DDOT is including the bus lane alternatives in a new study — more details soon — that aims to improve the urban design and enhance the streetscape along Pennsylvania Avenue between 17th St. NW and Washington Circle. 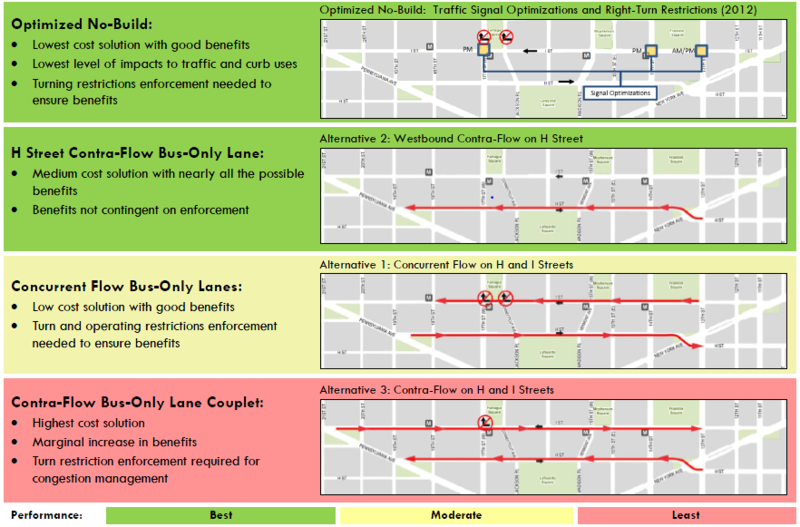 The DDOT study intends to assess the operational feasibility of the contra-flow bus lane on H Street – the best performing bus lane alternative in the 2013 study. This study will be initiated in 2016. Update, 2/25/2016: The paper has been accepted for publication in the Transportation Research Record, Journal of the Transportation Research Board. Christian T. Kent, the Assistant General Manager for Access Services, offers his thoughts on accessibility and Metro’s future. Mr. Kent provides oversight for the accessibility of Metrobus and Metrorail and is directly responsible for the operation of MetroAccess paratransit service. 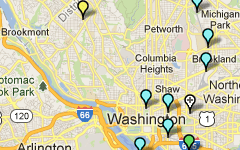 Metro operates the largest fully accessible transit system and the fifth largest paratransit system in North America. Accessibility is very important at Metro. Because Metro is accessible, hundreds of thousands of people with disabilities in our region can depend on Metro to get where they are going. Our low-floor talking buses and rail stations with elevators mean that someone who is blind or uses a wheelchair can use Metrobus or Metrorail. Metro can be the family car for someone who can’t drive. And for those who can’t use bus or rail, there is our paratransit service, MetroAccess. Our 675 lift-equipped MetroAccess vans deliver over 2 million rides every year to 40,000 customers. So Metro really is very important to people with disabilities, and Metro will be even more important to them in the future. Why is that?